Epicor ERP, especially for B2B & B2G? Level 2 and Level 3 transactions? The standard credit card handling system inside of Epicor ERP only provides you with what is called Level 1 credit card processing integration through Paypal. Level 1 essentially only includes the order total, date, and a small amount of information to identify the customer. This low-level, basic integration results in you being charged the highest default fees. For PayPal, this means you are typically paying about 2.9% + $.30/transaction. 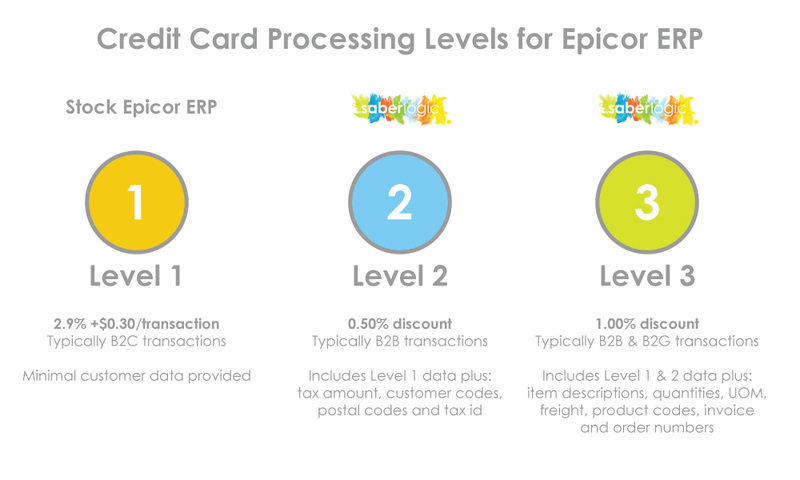 Level 1 integration was the only option for Epicor ERP users…until today! Are You Leaving Savings on the Table? There are now two additional integration levels available to you which provide savings for customers doing business-to-business or business-to-government. Level 2 integration requires additional details on the purchase, including the amount of the tax, a customer code, postal codes, and tax identification number. For B2B customers that are using corporate cards, you can get a lower processing fee if you provide this information to them. Typical savings for Level 2 processing are around 0.5% compared to Level 1. Level 3 is the next iteration, which is primarily targeted at business-to-business (B2B) and business-to-government (B2G) purchases. To achieve this level, we send a lot of additional data in terms of the line level details about the purchase. This includes item descriptions, quantities and units of measure, freight, product codes, invoice number, order numbers, and more. Typical savings for Level 3 processing are around 1.0% compared to Level 1. 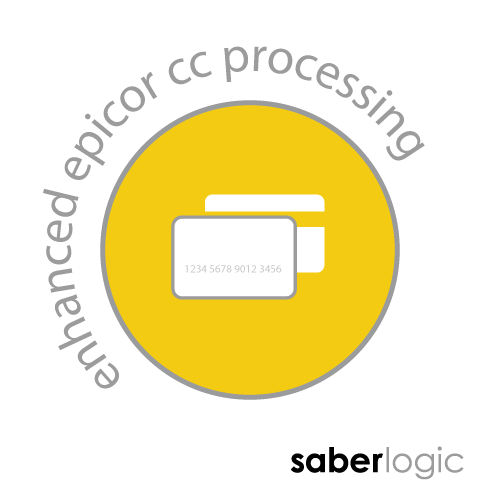 SaberLogic has developed an enhancement to the base credit card processing module within Epicor ERP that provides credit card processors with the additional data they need to provide you with Level 2 and Level 3 CC integration. Customer Case Study: Sunlight Supply, Inc. Your bottom line would benefit from the cost savings...so let's talk about how quickly we can implement Enhanced Credit Card Processing in your Epicor ERP environment!